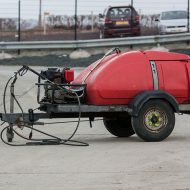 This unit is ideal for dealing with a range of cleaning tasks. 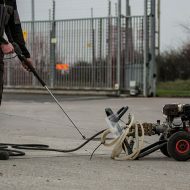 Providing 3000PSI, it will remove dirt and clean in the most difficult conditions. The whirl a way cleaning attachment works well with this washer cleaning hard surfaces without stripping .Also available are turbo heads which swish the water round with such force that cleaning is accelerated. Do not wet electrical installations. Always wear eye protection.